One of a parents favorite milestone sessions is the one year birthday cake smash! 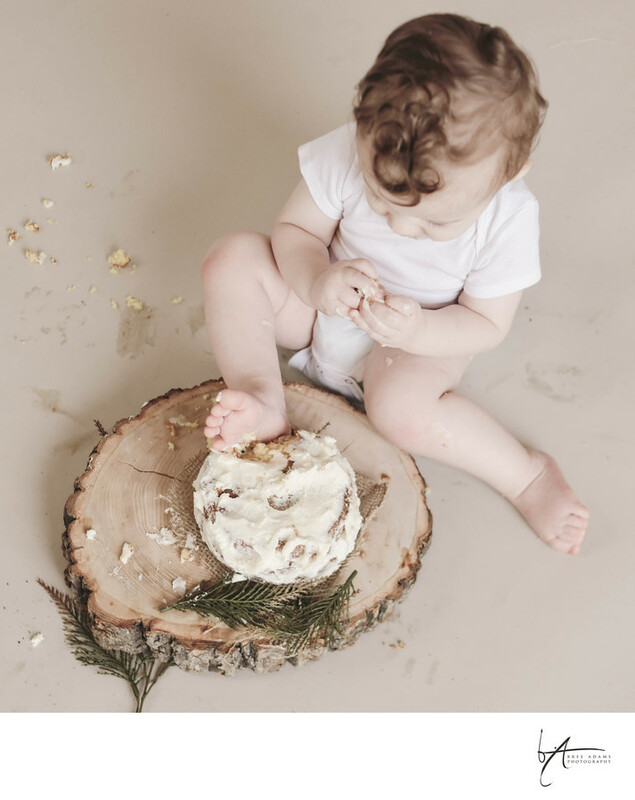 Our cake smash photograph sessions capture your baby in an adorable pre smash outfit in our organic bedroom set up and in a traditional pose to start. We then provide the cake and set up a unique and organic background to catch that smashing first taste of cake moment.